* Package Excludes - Tipping for Guide & Driver of SGD 5/person/day, International Air Tickets to Bali, Personal Insurance, Porterage Fee, Visa Fee & All expense of purely personal nature. 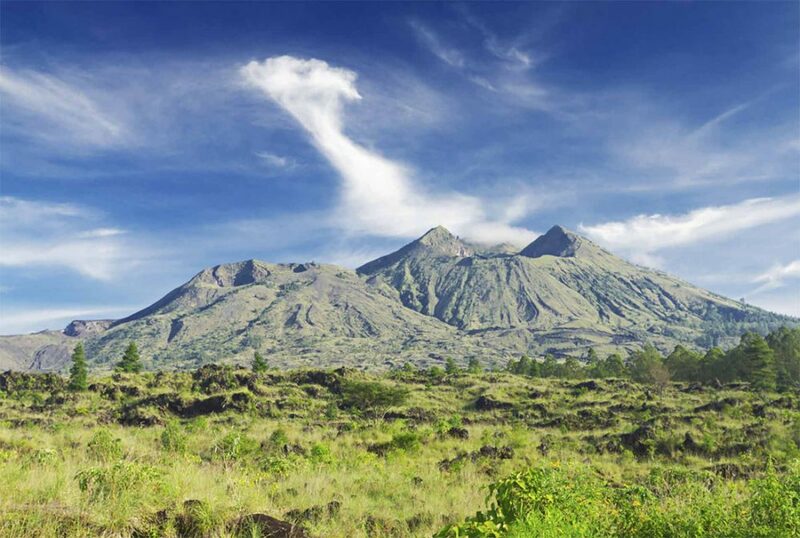 Bali, a land of enchantment, with its spectacular scenery and rich cultural heritage, and full of dramatic volcanoes with jungle-shrouded river gorges leading to beaches. This island of mystery has many exotic surprises for you to experience. Free and easy. Airport Transfer will be provided. 3D2N from SGD 298 / person ONLY! 4D3N from SGD 363 / person ONLY! Offer spacious living room with fully equipped kitchen. 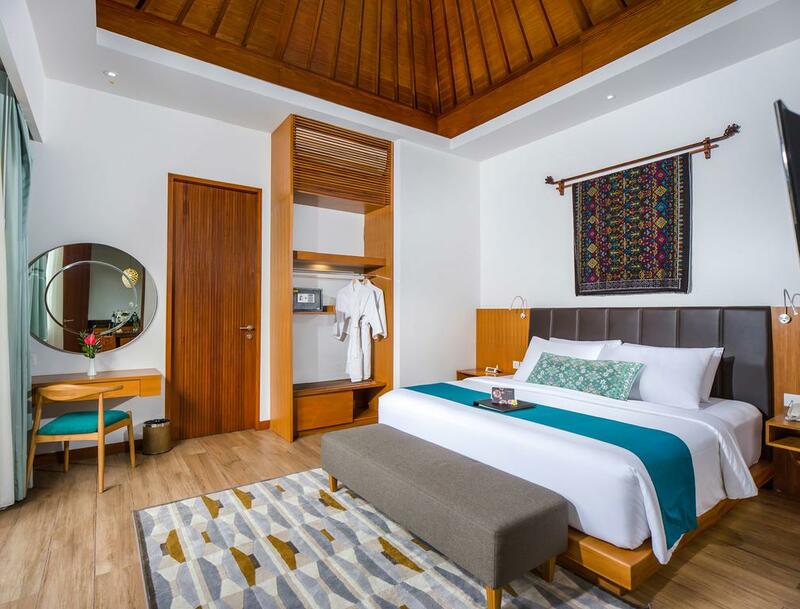 The room feature king size bed, air-condition, In-villa satellite 40 LED TV and movie entertainment system, mini bar, complimentary WIFI connection, selection of His and Her Uppala amenities. 3D2N from SGD 348 / person ONLY! 4D3N from SGD 428 / person ONLY! 3D2N from SGD 368 / person ONLY! 4D3N from SGD 448 / person ONLY! 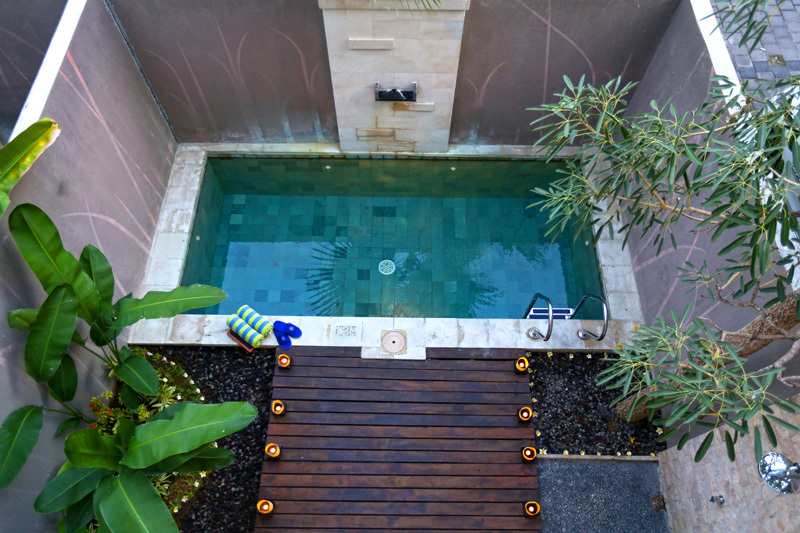 Well known as a romantic boutique Villa which is uniquely designed with the harmonious blend of natural & modern concepts, comprising of seventeen individual fully-serviced private pool villas with lush tropical green garden, and comfortable living room. 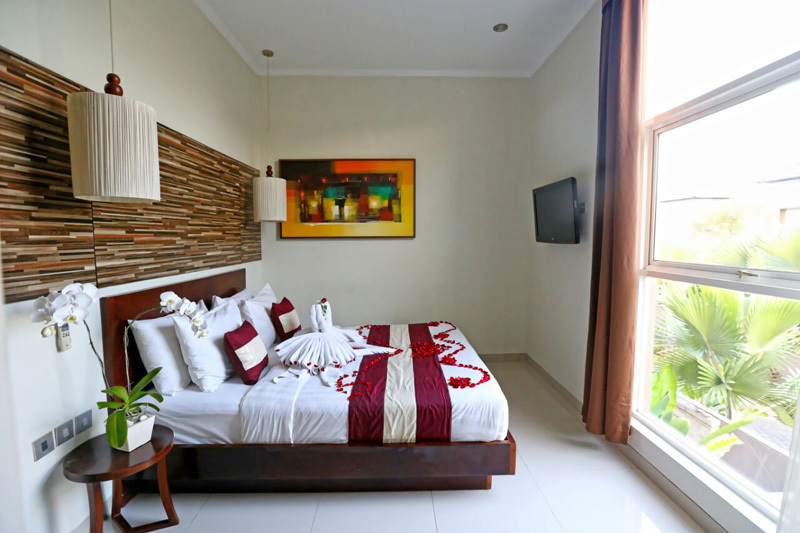 It is an excellent choice for first timers to Bali and for those returning to this land of culture, who want the convenience of being close to the best collection of boutiques, international restaurants, entertainment spots and the Bali beach yet secluded away from the hustle and bustle. 4D3N from SGD 468 / person ONLY! 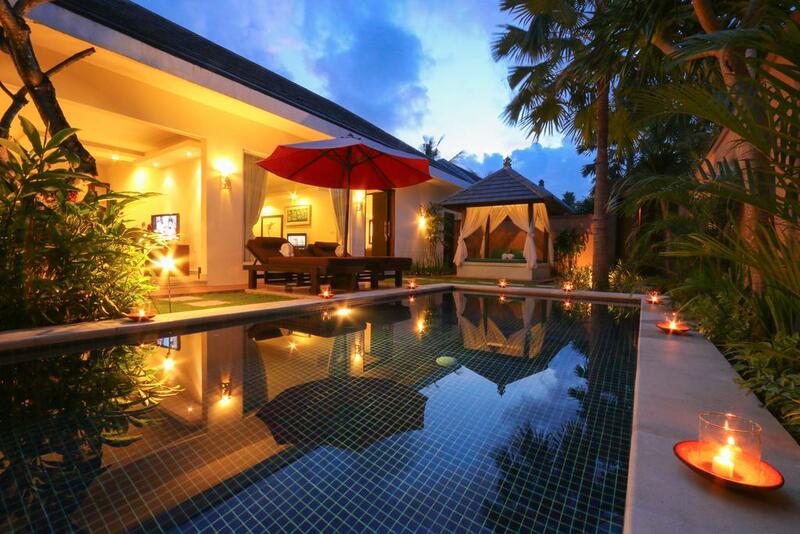 A combination of exotic and modern ambience in Pool Villas emphasizes peace and serenity. 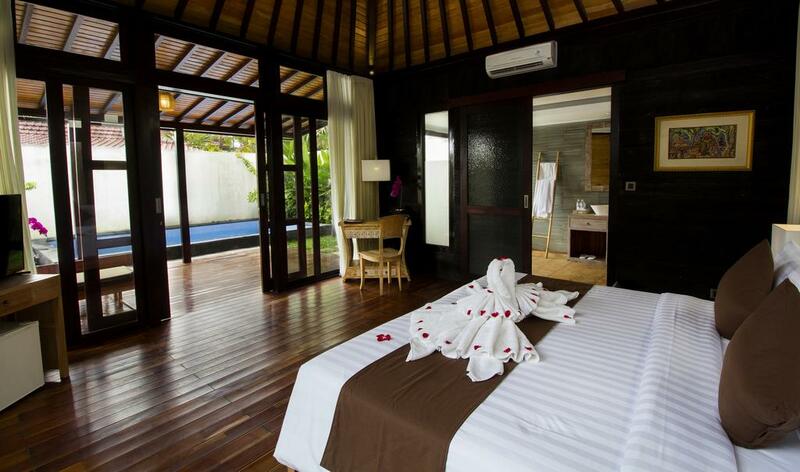 Each villa comes with their own gardens and private pools features queen size bed and 42 inch plasma TV with DVD player. The interior designed in a modern style - using soft, earthy colors in the decorations and black flooring to create an immediate relaxing feel once you step in. The bedroom uses high standard facilities for utmost comfort, with a generous bathtoom comprising of a separate bathtub and shower. 3D2N from SGD 378 / person ONLY! 4D3N from SGD 478 / person ONLY! 3D2N from SGD 398 / person ONLY! 4D3N from SGD 503 / person ONLY! 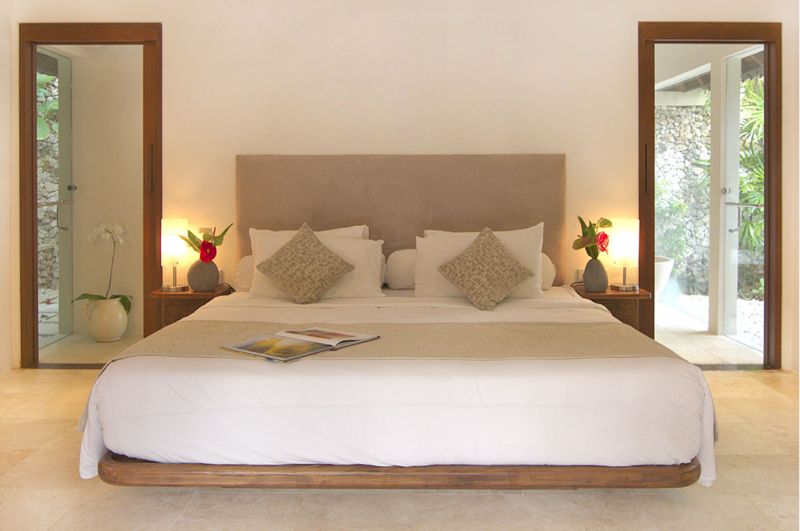 Enjoy the tranquility of a spacious 100 sqm One Bedroom Villa with us. 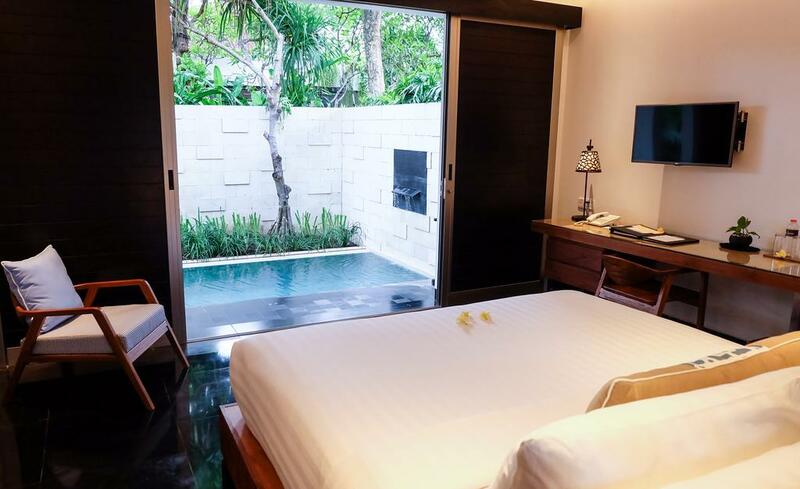 Experience an attentive and tailored service at S18 Bali Villas, which houses an exclusive 15 spacious One Bedroom Villas, with 6 villas connected to each other via lockable wooden doors, offering easy access when open but complete privacy when closed. 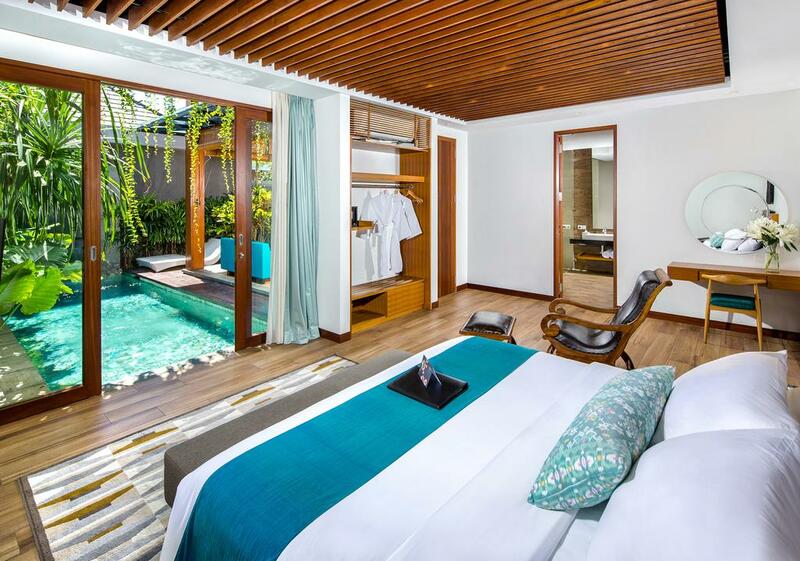 Our One Bedroom Villa features a 21 sqm comfortable bedroom with tall ceilings, furnished with a king-sized bed, a large 10 sqm ensuite bathroom with a private bathtub, private pool, sunbed, spacious dining and living area. 3D2N from SGD 568 / person ONLY! 4D3N from SGD 758 / person ONLY! 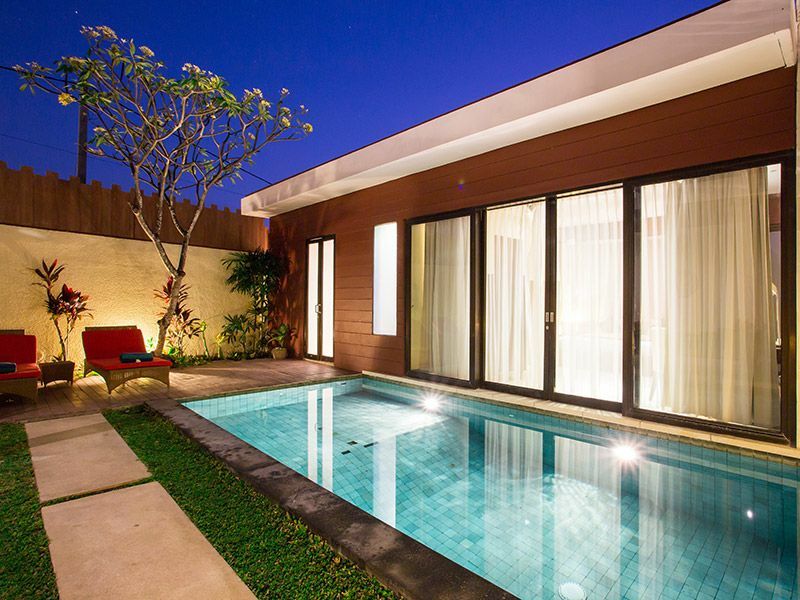 Villa Kubu is renowned for having some of the most spacious and luxurious 1 bedroom villas with private pools in Seminyak, Bali’s world-famous hotspot. 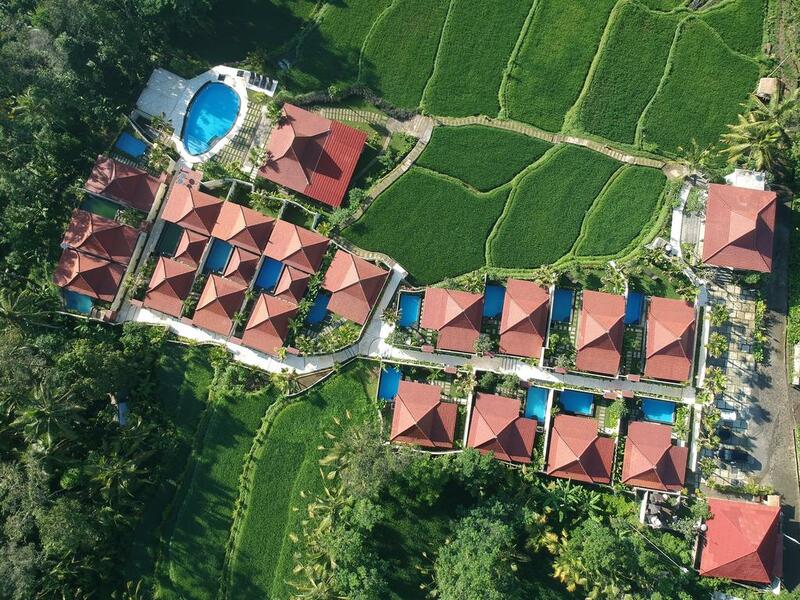 As one of the first villa estates in Bali, Kubu was built in the perfect position for lush, tropical gardens without being far from Seminyak Beach. 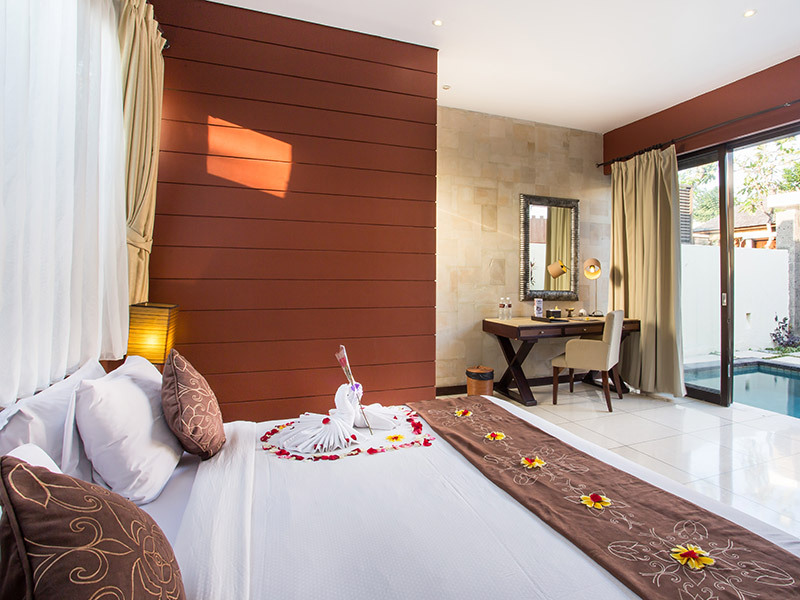 Our 1 bedroom villas are perfect for honeymooners, romantics, small families with young children or indeed any couple wanting the privacy of their own private pool villa, without sacrificing the ease of the full hotel services on offer at Villa Kubu. Mandarin Speaking Guide is available at an additional cost of SGD 5/pax/day. Please inform us in advance. The prices quoted above are based on the lowest room category. No refund, no barter, no compensation for any unconsumed services that is written on the service voucher. There will be no issue of insurance claim, no change in itinerary, no change of hotel and accommodation, without any agreement letter. What are you waiting for? Where is your next vacation? Bali of course!